Rob, now that I have installed your amazing kit, I want to thank you for creating this awesome enhancement to the Castle!!! Here are shots of it in full glory! In the “all-white” picture, is that the exterior lighting kit or both the interior & exterior? Just the Exterior kit and Split-Level Multicolor Light Controller Add-On Kit. Hi. I'm interested in buying the full lighting kit and possibly the sound kit. For the full lighting kit, do I need a few power source or are all the sections (exterior, interior + fireworks) connected? Also, which part of the castle will the start of the lighting kit located? 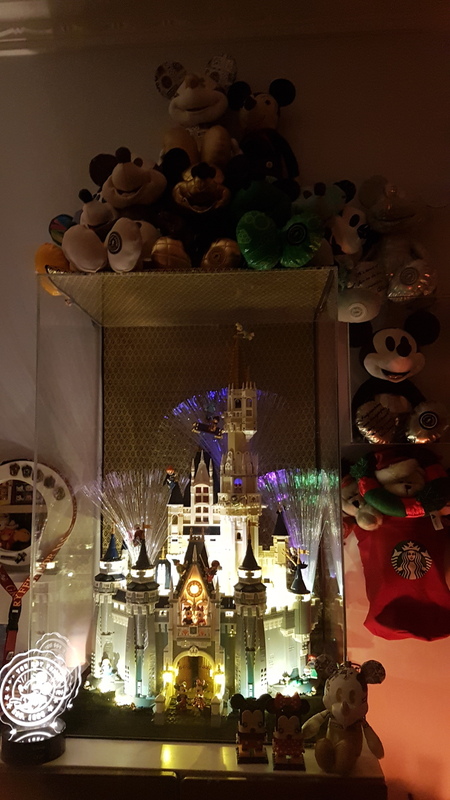 I'm making an acrylic display box for my castle and would like to take into account how the lights will connect to the power source outside of the box. Would it possible to get a copy of the instructions manual to get an idea? Thanks. Daryl Tan Hi Daryl, thank you for your message and for your interest in our kits! You will just need a single power source (if your castle will be located near a power outlet, the USB option would be the the best-- all you'd need beyond that would be a standard iPhone/iPad type charger. We sell these as well if you need an extra one). I'll send you a link to the install instructions so you can have a look and get a sense for where they begin. Running the main supply power wire under the cover for your case should not be a problem. Please let us know if you have any additional questions. Thank you again. Daryl Tan Rob beat me to it, and probably better said as well. The "start" would probably be the power input from my definition; I ran it right up under the center of the castle (mine is on a lazy susan), but anywhere that's convenient on the base to drill a small hole would serve you just fine. Rob Klingberg Paul George Thanks guys! The info is very helpful. Will probably get them next month seeing that I just spent a fortune on the Hogwarts set. A side question on the sound kit, would the speaker volume be loud enough if placed within the acrylic display box (without any holes except for the power source) and any idea if the acoustics will be decent? Otherwise I'll just place it on the outer case. Daryl Tan Hi Daryl, we don't yet have our sound module for the Castle ready to sell, but when it is available, the sound should be loud enough to be heard (we designed it so you could hear it at LEGO conventions). As for the acoustics, that I can't comment on as I don't know what your case is like. You could always locate the speaker outside the case as well. Hi. I'm placing an order for the November batch. Just a quick question on the power source. 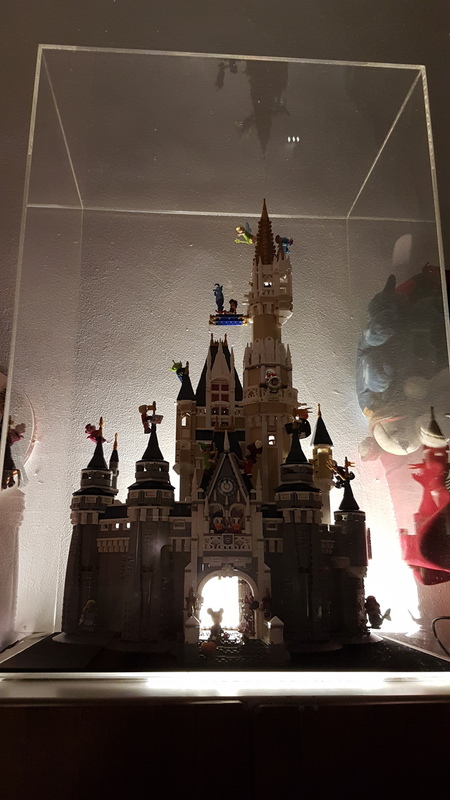 My lego set is currently in an acrylic box in a dome form fitting onto the base grooves. Was wondering if I were to get the USB power source, will the wires be okay if it is snapped on the grooves? The base is also acrylic but with a velvet top. Here is some pics of how it looks like. Thanks! Daryl Tan You should be ok-- the kit includes a 24" thin black power cable that is the main power supply (connects to the USB cable which is thicker, but that will be outside your case). How deep is the groove in the case? The 24" cable is fairly strong (LEGO parts can be snapped on top), so again you should be ok unless the grooves are unusually deep and/or sharp. Rob Klingberg groove's about 5mm deep. Currently running a thin red/black wire under it for LED strip and it's working fine. Anyways, have placed the order with both usb and battery power source just in case :) can't wait to set it up! Daryl Tan Awesome, thank you for the order! I think the wires will be fine. Also, I just finished making a small batch of sound modules-- would you like me to send a separate invoice for one to add to your order? 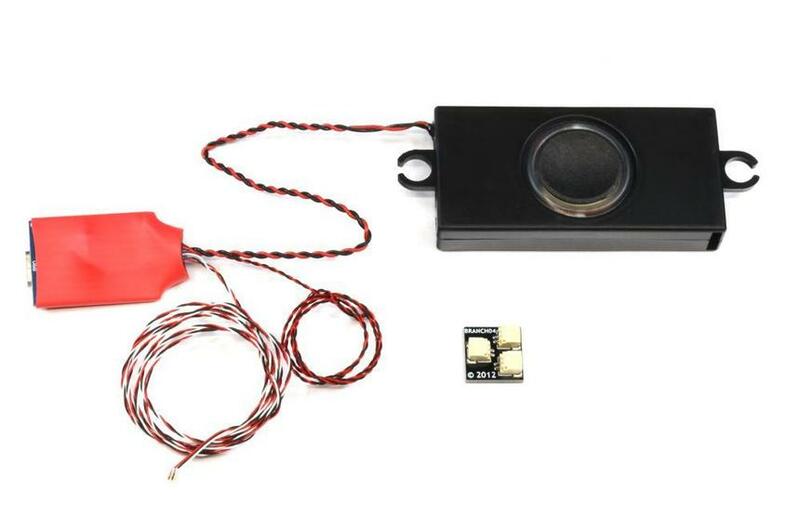 Price is $41.99 for the sound module (you can add up to 4 minutes of sound). Rob Klingberg Do you have a video demo on sound modules? would like to see how it looks like and also to get an idea of the sound quality. Thanks! Daryl Tan I don't have a video yet, mostly because our Castle is still in storage after Brickworld Chicago last June. The sound module is the same as the one used in our Millennium Falcon kits, though the speaker is smaller (still very loud, though). The sound modules have an onboard 3W amplifier and 24-bit DAC, so the sound quality is very high. I am attaching two photos of the module to the bottom of this post, so you can see the relative size. I hope this information is helpful. Beyond this I think it may be some time until we post a video, if for no other reason than because we're short on space in our shop these days to set up the Castle and do a proper video. 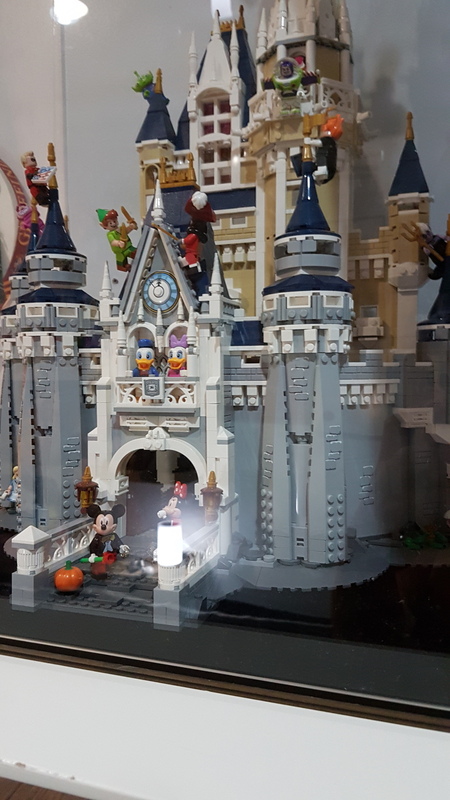 I ordered the Disney Interior Lighting Kit that includes 2 interior light torches for the main room (bottom floor) - see attached photoa. Unfortunately, during installation the wires became crimped and broke when I tried to adjust them. Can I order a replacement interior torch? I was testing the bottom spotlights and power source - set looks great so far! Thank you for your help. John Hi John, thank you for your note and for letting us know about the torch. 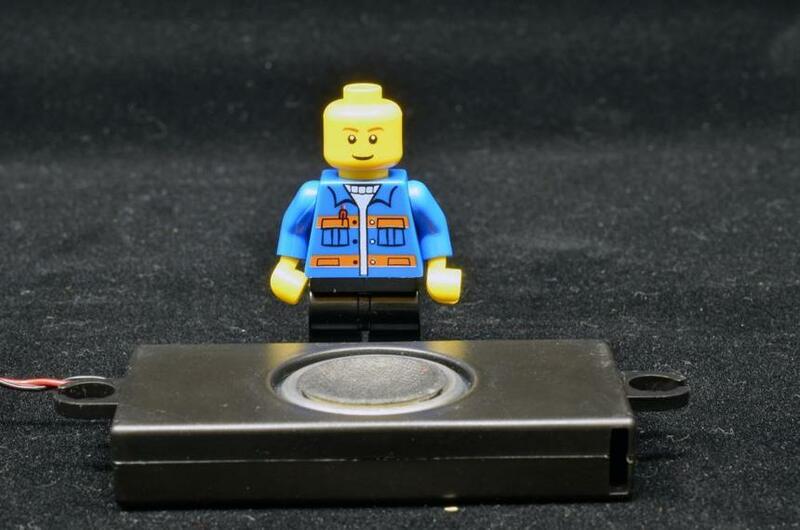 If you can send an e-mail to support@brickstuff.com with your address information, we can send a PayPal invoice for the replacement torch. Rob Klingberg I just got my kit in the mail! So excited to put it together. Just wanted to know roughly how much time does it take to put the whole kit up? Am traveling in 2 days and don't want to start but not able to finish it before my travels. Cheers. Daryl Tan Glad you received your kit! Installing the kit does take some time (because of how the wires are hidden to maintain the playability of the set), so I'd recommend starting after you return. Finally managed to install the exterior and fireworks kit. Am loving it! By the way, is it possible to set to a certain color rather than having it on cycle mode? Okay I figured out how to fix it to one color scheme. Here's a video of the light show with some music in the background. Hope I'm not infringing any IP since it's not for commercial purpose. Daryl Tan Wow, thanks for sharing-- the video and music are great! I'm so glad you got everything set up, and I think it all looks perfect. Thank you again for your order, and I hope you enjoy your lights for a very long time. Daryl Tan No holding out - what was the trick to getting the lights to sequence with the same color with each cycle? I'm having trouble getting the color changing spotlights to work for the exterior lighting kit.The only other problem is the left torch in the back isn't working and I've troubleshooted the torch and it's bad and I'm going to order a new one.As for the color changing lights,I've take the power source all the way back to the A5 board and still no lights.Question,If one string of lights are pinched would that stop them from both set of lights not to work?I think I might order another A5 board with the torch just to see if that board is bad,is that a good idea or not?Thanks for any advice that anyone can give me,as soon as I get these to work I can attach the top half plug the 2 together and do the fireworks.I completed the top half and tested all of them and they all work.I hope to get some answers to fix the color changing lights. so so a few problems have happened for me. Had the full kit working for like a week. Was using the usb to wall plug to power. Had some sparks happening when plugging in so I’m worried I’ve shorted something? I’m not electrically inclined so is this even a thing? furthermore, my wife knocked over the tower pretty aggressively and I noticed one light connector broke so I replaced it. Everything else seems fine. any suggestions? Did I short something? What replacement Parts should I buy to troubleshoot. Michael Organiscak Hi Michael, thanks for your message. So, what's working/not working now? Best thing to do is follow the general troubleshooting guide-- see attached. The more details you can provide about what's working/not working, the more we'll be able to help, but the attached guide should outline the process you can use to troubleshoot individual issues.